That’s a dumbbell in her right hand. I work-out with those myself. I don’t have access to the full scientific report, but I’ve posted part of the abstract below. The biggest problem with the study at hand is that physical activity apparently was surveyed only at the start of this 14-year study. Results would be much more robust if activity was surveyed every year or two. My overall activity level seems to change every two or three years. How about you? “Compared to women who reported no strength training, women engaging in any strength training experienced a reduced rate of type 2 diabetes of 30% when controlling for time spent in other activities and other confounders. A risk reduction of 17% was observed for cardiovascular disease among women engaging in strength training. Participation in both strength training and aerobic activity was associated with additional risk reductions for both type 2 diabetes and cardiovascular disease compared to participation in aerobic activity only. PS: Cardiovascular disease includes heart attack, cardiac death, stroke, coronary angioplasty, and coronary artery bypass grafting. Many of us are eating fish or taking fish oil supplements, hoping that they will prevent heart attacks and the associated premature death. As it turns out, they may do neither. I’ve been sitting on this research report a few years, waiting until I had time to dig into it. That time never came. The full report is free online (thanks, British Medical Journal!). I scanned the full paper to learn that nearly all the studies in this meta-analysis used fish oil supplements, not the cold-water fatty fish the I recommend my patients eat twice a week. If you’re taking fish oil supplements on your doctor’s advice, don’t stop without consulting her. The study at hand doesn’t address whether eating cold-water fatty fish twice a week prevents heart attacks and premature death. Cardiovascular disease (CVD) is still virtually absent in those rare populations with minimal Western dietary influence. To date, exercise, altered fats, fibre, anti-oxidants or Mediterranean diet do not appear to overcome the discrepancy in CVD between hunter-gatherer and Western populations. The CVD risk factors of obesity and diabetes are driven by increased caloric intake, with carbohydrates potentially implicated. Paradoxically, non-Westernized diets vary widely in macronutrients, glycemic and insulinemic indices, yet apparently produce no obesity or CVD regardless, even with abundant food. ‘Ancestral’ grain-free whole-food diet may represent the best lifestyle intervention for obesity and CVD. Such diets are composed of the cells of living organisms, while Western grains, flour and sugar are dense, acellular powders. Bacterial inflammation of the small intestine and vagal afferents appears a crucial step in leptin-resistance and obesity. Therefore it may be important that the Western diet resembles a bacterial growth medium. You may remember Spreadbury’s name from his theory about acellular carbohydrates causing obesity via alterations in gut microorganisms. Spreadbury is with the Gastrointestinal Diseases Research Unit, Queen’s University, Kingston, Ontario, Canada. You can read the articles for yourself. The following are a few of the authors points I found interesting or want to remember. Throughout the article are references to aboriginals like the Hadza, Kitavans, Ache, Shuar, Australian aborigines, and Inuits. I always take comparisons of them to modern Europeans with a grain of salt, because of potential genetic differences between the populations. Moreover, diet and activity levels are only two of myriad cultural differences. Can dietary changes reduce the incidence of CVD? They say it’s unclear. “In those eating a Westernized diet, carbohydrates are increasingly recognized as being associated with poor metabolic health.” Evidence? Only one reference cited: Zienczuk’s 2012 article on high arctic Inuits. “…non-Westernized populations with excellent metabolic and cardiovascular health almost invariably have negligible dietary contribution from grains, as well as refined sugar.” No citations. “For ‘western-style’ diets and most obesogenic diets tested, gut microbiota appear to play a crucial role in obesity.” That’s a bold statement. References? Only one, a mouse study. The rest of the article is about Spreadbury’s acellular carb/obesity theory. He suggests that small intestine bacteria play a more prominent role than colonic germs. Bacterial-driven inflammation…. The authors provide an example of a grain-free whole-food diet. It’s unrestricted in fruit, leafy or root vegetables, unprocessed meats, eggs, fish, nuts (except peanuts), mushrooms, herbs and spices. Occasional foods to be eaten in moderation are legumes, rice, yogurt, milk, cheeses, sweet corn, palm oil/lard/olive oil, and salt. Avoid almost all processed foods, breads, cereals, cakes/cookies/donuts etc., refined sugars, dried or processed fruits, vegetable/seed oils, and processed meats. They advise a vitamin D supplement. I’m not sure if they came up with this diet on their own, or it’s S. Lindeberg’s outline. The macronutrient independence of the health from ancestral diet suggests whole foods are more important to health than their macronutrient or other chemical components, and that good health is associated with unprocessed cellular foods. Flour, sugar and processed foods appear to be important drivers of Western metabolic dysfunction, overweight and inflammation, and may prove to have a profound impact on, or even be the initiators of cardiovascular disease. I’m sure Spreadbury and Samis would agree we need more basic science and clinical research into these issues, involving human test subjects. Maybe I’m prejudiced, but I’m more interested in Asians, Africans, and Europeans than Shuar people. Reference: Spreadbury, Ian and Samis, Andrew J.S. Evolutionary aspects of obesity, insulin resistance, and cardiovascular risk. Current Cardiovascular Risk Reports, April 2013, vol. 7, issue 2, pp. 136-146. Some folks can get away with smoking or drinking too much, but others can’t. They have hell to pay. There’s one sure-fire way to eliminate smoking-related disease risk. Some studies suggest you can be healthy and long-lived while obese as long as you’re “metabolically healthy.” That is, if you have normal blood pressure, LDL cholesterol, triglycerides, blood sugar, and waist circumference. (You can be obese with a “normal” waist circumference, but it’s not easy.) A new meta-analysis finds the “metabolically healthy” label is a misnomer: you’re still at higher risk for death or cardiovascular events if you’re obese and free of metabolic syndrome features. Do Vegetables and Fruits Prevent Disease? Posted on June 29, 2013 | Comments Off on Do Vegetables and Fruits Prevent Disease? For hypertension, coronary heart disease, and stroke, there is convincing evidence that increasing the consumption of vegetables and fruit reduces the risk of disease. There is probable evidence that the risk of cancer in general is inversely associated with the consumption of vegetables and fruit. In addition, there is possible evidence that an increased consumption of vegetables and fruit may prevent body weight gain. As overweight is the most important risk factor for type 2 diabetes mellitus, an increased consumption of vegetables and fruit therefore might indirectly reduces the incidence of type 2 diabetes mellitus. Independent of overweight, there is probable evidence that there is no influence of increased consumption on the risk of type 2 diabetes mellitus. 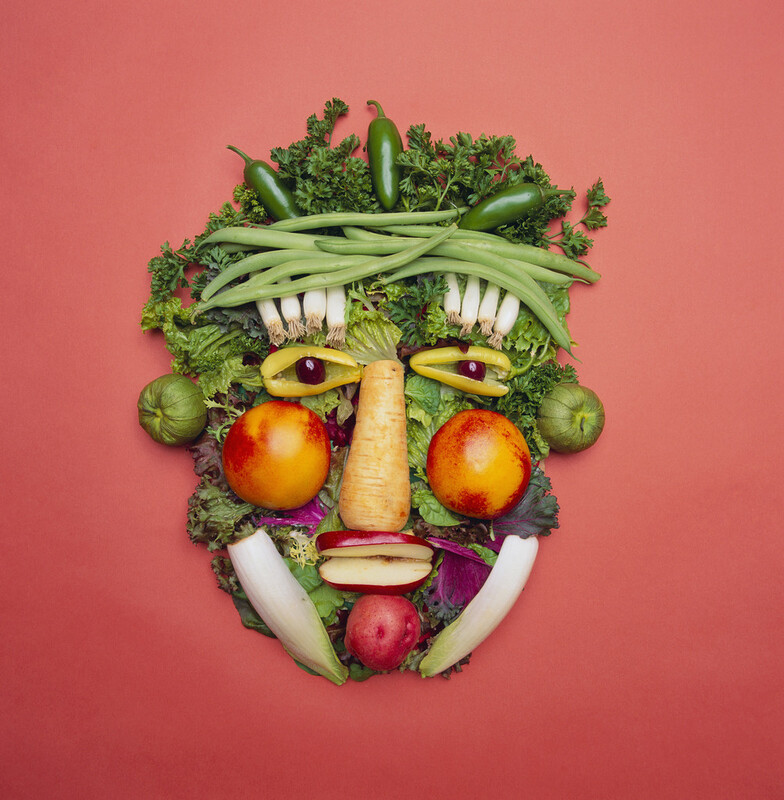 There is possible evidence that increasing the consumption of vegetables and fruit lowers the risk of certain eye diseases, dementia and the risk of osteoporosis. Likewise, current data on asthma, chronic obstructive pulmonary disease, and rheumatoid arthritis indicate that an increase in vegetable and fruit consumption may contribute to the prevention of these diseases. For inflammatory bowel disease, glaucoma, and diabetic retinopathy, there was insufficient evidence regarding an association with the consumption of vegetables and fruit. It bothers me that vegetables and fruits are lumped together: they’re not the same. The paleo diet is unfairly characterized as meat-centric. It can certainly provide beaucoup vegetables and fruits. Diabetics should be careful which ones they choose, to avoid spikes in blood sugar. Comments Off on Do Vegetables and Fruits Prevent Disease? I’ve been fretting that the paleo diet may not provide enough calcium to keep aging bones strong. On the other hand, the writer(s) at the Joslin Diabetes Blog point out that too much calcium may promote cardiovascular disease. Participants were women from a mammography cohort who were asked about their calcium consumption, using a food frequency questionnaire, at baseline and seven-to-ten years later. The 61, 433 women were followed for a period of 19 years. During that time, 6894 participants died of cardiovascular disease or stroke. The researchers found that the women taking over 1400mg of calcium per day had a higher incidence of cardiovascular disease. Participants whose calcium consumption remained within suggested bounds, between 600mg and 1000mg per day, did not appear to have a greater vulnerability to cardiac disease. I confess I haven’t read the BMJ article. I always wonder about overall death rates when I see results like this. A group may have higher or lower rates of cardiovascular disease, and yet live longer than the comparison group. An intervention could prevent cardiovascular disease and cardiovascular death, yet increase the incidence of death from infection, cancer, accidents, or suicide, etc. I bet a lot of adults eating a paleo-style diet approach or exceed 600 mg a day of calcium. I’m feeling better about the calcium in paleo diets. But I don’t want to have to depend on feelings. The Joslin blogger notes that, “Perhaps it is time to have a conversation with your health care provider to determine what the best dose of calcium is for you.” Problem is, I’m not sure any healthcare provider really knows the best “dose” of calcium for the average person, whether supplemental or dietary calcium. Sorry, men. These findings may or may not apply to you. At least you don’t have to worry about osteoporosis nearly as much as women. PS: In case you hadn’t run across it elsewhere, note that taking a calcium supplement without a concomitant vitamin D supplement may be more harmful than taking calcium with vitamin D.
Posted on December 15, 2012 | Comments Off on Are We Eating Too Much Salt? Most paleo diets are quite a bit lower in salt and sodium than standard American diets. At the same time, they should be quite a bit higher in potassium, which may be very healthy. Every 10 years or so, “the powers that be” make a push for population-wide salt restriction thinking that it will prevent cardiovascular disease and associated premature death. The American Council on Science and Health has a brief review of the latest research on salt restriction, and it’s not supportive of population-wide sodium restriction. Remember, table salt molecules contain one sodium atom and one chloride atom. Salt-restricted and low-sodium diets are usually designated by the amount of sodium, not salt. That being said, I do believe some individuals have elevated blood pressure related to relatively high sodium intake. This may apply to one of every five adults with high blood pressure. To find out if you’re one of the five, you could go on a low-sodium diet—1.5 to 3 grams a day—for one or two months and see what it does to your blood pressure. Get your personal physician’s blessing first. Comments Off on Are We Eating Too Much Salt? The death rate from cardiovascular disease in U.S. adults with diabetes fell 40% from 1997 to 2004, CDC and NIH researchers said. Additionally, all-cause mortality in diabetic participants dropped by 23% (95% CI 10% to 35%), Gregg and colleagues reported, from 20.3 to 15.1 per 1,000 person-years after adjusting for age. The researchers identified several factors that likely account for the improved life expectancy for diabetic Americans. Among them was the “steady improvements in quality and organization of care, self-management behaviors, and medical treatments, including pharmacological treatment of hyperlipidemia and hypertension,” Gregg and colleagues suggested. The MedPage Today article didn’t define cardiovascular disease. It typically includes heart attacks, heart failure, strokes, aortic aneurysms, among a few others. Hope that cheers you up!